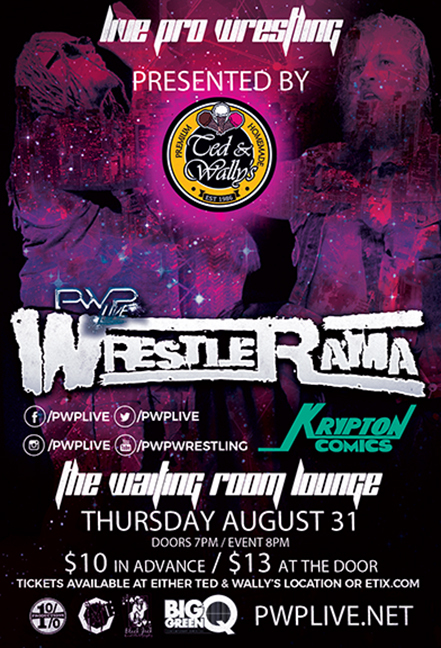 PWP WrestleRama returns to The Waiting Room Lounge on Thursday August 31st! *** The Fight & Flight Connection vs Midwest Blood….in a TABLES MATCH!!!!! These two teams have been at each other’s throats for months now, and the stakes have just been raised! The only way to win this match is to send both members of the other team crashing through tables!! *** ZAC JAMES challenges HYPE GOTTI for the PWP Championship!!! Last month, Zac James issued a challenge for August for the winner of the PWP Title match between Hype Gotti and Robbie E. Gotti retained, which means on 8/31 Zac will have an opportunity to become the first ever PWP Triple Crown winner, but not if the PWP icon Hype Gotti has anything to say about it!! *** GUNS & BEER defend the PWP Tag Team Championship against PAT POWERS & “DELICIOUS” DEVIN CARTER!!! Last month, we saw Pat Powers interject himself on Duke Cornell and Moonshine Russell’s business to more than just the point of annoyance. Well now Powers has requested a shot at the PWP Tag Team titles for himself and his “vp” Devin Carter – a shot which the champions have been more than happy to grant!!! *** “THE KARAOKE KING” PURPLE goes one on one with “THE CANDYMAN” WILLY SWEET!! 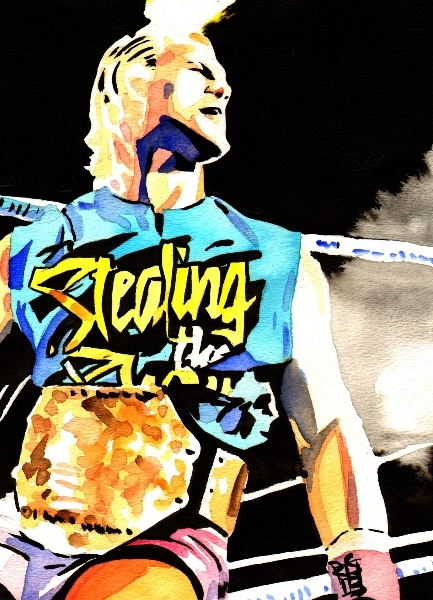 The Candyman has been playing mind games with everyone since he arrived in PWP – most notably, Purple. Sweet thrives off of causing fear with his creepy intimidation – but Purple says he isn’t afraid, and won’t be a victim of Sweet’s bizarre antics any more!! This entry was posted on August 26, 2017 at 2:05 pm	and is filed under Uncategorized. You can follow any responses to this entry through the RSS 2.0 feed. You can leave a response, or trackback from your own site.